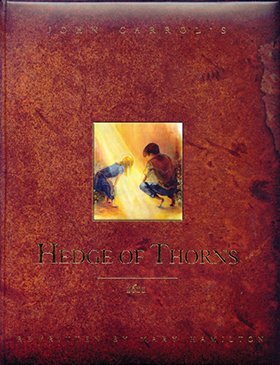 The Hedge of Thorns (Illustrated) is part of the Children's Collection. From Tina Smith of Lancaster, Ohio on 9/18/2017 . We love the illustrations and opportunity to introduce our daughter to the rich messages of the stories. Look forward to when she is older and we are able to read and discuss the full version. From Anonymous of Plainwell, Michigan on 4/27/2017 . I wanted a book on why disobedience has consequences and how selfishness is rooted in evil and hurts those around us. Beautifully illustrated. I read it and re read it and talked more about the biblical principals and parallels it draws almost like a devotion. Please if you buy this book don't just read it, explain in depth what it means to your children. I love the scripture in the back of the book too. I hope these stories are brought to mind when they are older and lay a foundation that repels rebellion. I love the stories that teach life lessons through biblical truth. From Deb Schult of Ackley, Iowa on 1/11/2017 . My grandkids were on the edge of their seats during this story. My four-year old granddaughter brought it to me the following day & wanted to hear it again. It's well-written, beautifully illustrated, and has a powerful message. From Deb Schult of Ackley, Iowa on 12/13/2016 . I'm very excited to read this to my grandchildren. I know there is nothing that teaches important morals and truth like a story can, and this book is powerful! From Anonymous of Norton, Ohio on 3/7/2016 . I love this book! I like to have extras on hand to give to children for Birthday gifts! God's principles are so true! Good story to encourage obedience in children!